The Sunrise Condos and Sunscape Villas community is the essence of relaxation combined with resort-style living near the heart of Old Town Scottsdale. The community stretches along the 8th and 9th holes of Continental Golf Course and has superb views of the spectacular Camelback Mountains. Together the exclusive community boasts over 800 units, many with updated interiors. You’ll experience amenities galore including two large swimming pools, a fitness center, club house and private movie theater. There is also a concierge service and a weekend shuttle to Old Town Scottsdale. Continental Golf Club offers a par-60, 18-hole executive layout featuring premium golf and amenities. Golfers enjoy access to the clubhouse, world-class golf shop, practice facility, instructional programs, frequent players program, night golf events, leagues and tournaments. A cafe serves delightful breakfast and lunch fare. The golf course and facilities are open seven days a week. If baseball is your game, then you’ll love the close proximity to Scottsdale Stadium, home to the San Francisco Giants spring training camp. In the fall, the stadium opens for the Arizona Fall League featuring the home team, Scottsdale Scorpions. The minor league team hosts top players from both the American and National League. Within walking distance of Sunrise Condos and Sunscape Villas, you’ll find plenty of dining, nightlife and entertainment options as you explore Old Town Scottsdale. Marking the city’s original settlement, the area is now home to unique eateries, fine dining and exceptional nightlife. Boutique stores intermingle with Southwestern art galleries, jewelry stores and souvenir shops. Art lovers will appreciate the opportunity to explore the art galleries on a more personal level during the Thursday evening Scottdale ArtWalk, a self-guided art tour offering free trolley and horse-drawn carriage rides around the Arts District. Exploring further into Scottsdale and Phoenix is made easy with convenient access to Arizona State Routes 101 and 202. For personal and business travel, the community is only six miles northeast of Phoenix Sky Harbor International Airport and 9 miles south of Scottsdale Airpark. Great golf course views and convenient access to spring training facilities make Sunrise Condos and Sunscape Villas a great place for outdoor enthusiasts to call home. 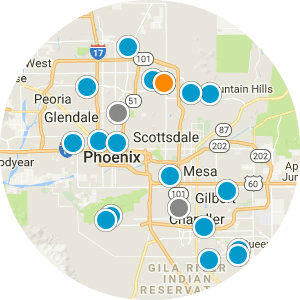 Feel free to explore other communities similar to this one, including Scottsdale House and Hallcraft Villas. Interested in a Sunrise Condo or Sunscape Villa for Sale in Old Town Scottsdale? If any units are available at Sunrise Condos and Sunscape Villas for sale at this time they will appear below. We would love the opportunity to show you any of these units. Please call us at 480-387-3990 or fill out our Contact Form and we will respond within the hour during normal hours. 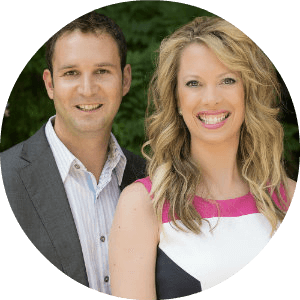 We highly recommend that you Contact Us and we will create a custom search for you that will automatically alert you when new homes come up for sale in Sunrise Condos and Sunscape Villas. 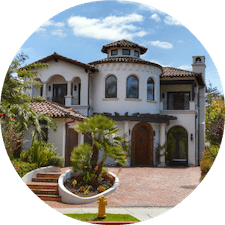 We can also prepare a free report for you that provides all the statistics you want to know about Sunrise Condos and Sunscape Villas including historical data, projections, recent sale prices, and information about Sunrise Condos and Sunscape Villa's surrounding neighborhood.